Do you have a penchant for adventure and love spending time outdoors? With modern technology, outdoor watches have become more than just a device that tells time. More than their aesthetic value, outdoor watches function in more ways than you expect. They can track your location, record your hikes, and measure your altitude among many others. Outdoor watches are very useful and functional when it comes to hitting the trails. It has practically all the essentials you’ll ever need to make your trip smooth sailing. More than just a timepiece, outdoor watches tend to feel like your hiking buddy and assistant. Hence, here’s a list of the best outdoor watches in 2019 you should consider before going on that once in a lifetime adventure. Aside from gathering the best men’s outdoor watches, we’ll also identify the features that make an outdoor watch special. This will help you decide which watch will best fit your lifestyle. The Pro Trek PRW-2500R-1CR is a first up in our review because of its high-performance. This device is pretty much reliable when it comes to withstanding challenging environments. We like this simple digital watch because it’s relatively easy to operate and only requires a one-touch function. Its duplex LCD display makes it easier for you to see everything you need in just one look. Plus, it features a graph to give you information on the barometric pressure patterns. It also features moon and tide graphs which are very useful when you’re going fishing or kayaking. If you’re planning on using your watch to go river crossing or rafting, the Pro Trek will suit you. With a water resistance up to 200 meters, it can perform well against strong water pressure. On the downside, the LCD lacks clarity and brightness making it difficult to see under normal lighting conditions. 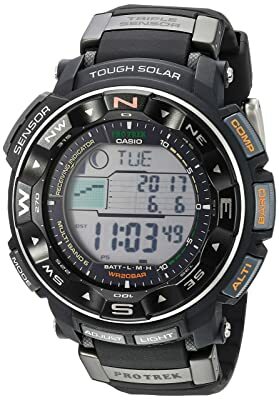 This model is one of the best digital watches for men. Advanced and experienced outdoor enthusiasts may find this watch a perfect match for them. The Pro Trek PRW-2500R-1CR is an excellent watch that you can count on regardless of what type of outdoor activity you’re into. We also consider this as one of the best digital watches as well as one of the most durable watches in the market. Looking for a watch that can function well on different types of activities? 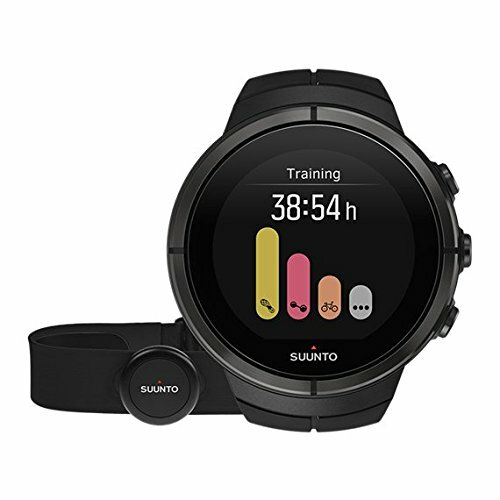 The Suunto 9 Baro is a multisport watch that will help keep you focused on your goal. At the same time, what we like about this watch is that it can definitely go the distance. It can continuously track your exercise and activities for 120 hours showing that it can withstand the test of time. 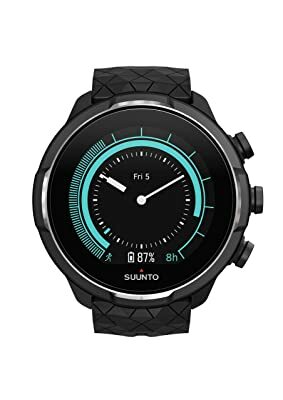 Another thing we liked about the Suunto 9 Baro is its intelligent battery feature. This helps optimize your battery before you even step out of the house. On the other hand, this watch may not always be accurate when it comes to recording certain data. Whether you’re going for a long run or hike, you can rely on the Suunto 9 Bar to keep you company during your journey. This is why we recommend it as the best hiking watch. It suits adventurers who are built for long endurance activities. This multisport watch has tons of outdoor features to satisfy the adventurer in you. It is built with preconfigured apps to track your cycling activities whether you’re pedaling on the road or mountain. The app also records walking, running, hiking, swimming and a number of other outdoor activities. Are you into techie devices? If you are then you will definitely enjoy this cool smartwatch. Just pair it with your smartphone to receive notifications. Its smart technology makes this watch a notch over the rest of the watches in the list. Another plus for the Fenix 5X is its excellent mapping function which we find highly functional. It can create routes and display labeled roads, trails, mountains, and lakes. Plus, it can search local points of interest too. We like it more than the Casio Smart Pro Trek and Fenix 3 HR because of its exceptional features. The Garmin Fenix 5X Sapphire easily takes the cake as the best outdoor smart watch. It has all the bells and whistles that are applicable to multiple types of activities. Therefore, this watch is all you’ll ever need for your explorations. Are you into tactical watches? If you like a military design, then you’ll definitely enjoy the Luminox Men’s Recon. It’s doesn’t only have a nice design but it also functions well when you’re in survival mode. One of the nice things about this watch is it can withstand bumps. You can knock it a few times and still see zero scratches on it. The compass in the band can be bulky for most people and some may find it useless. Luckily, you can easily take it out. The Luminox Men’s Recon is a nice looking military-inspired watch. If you prefer watches that aren’t too heavy, the Recon is your weapon of choice. It’s lightweight and comfy on your wrist. Plus, it also comes with a detachable compass for added functionality. Among the best sport watches for men, this multisport device can add more spice to your adventures. The TomTom Adventure can track your exercises and activities to help you improve your performance. At the same time, it can also customize your workouts to boost your training. A bonus for us that none of the other watches have is its integrated music player. It makes your activities more exciting as you listen to your favorite tracks while working out. Plus, many consider it the best everyday watch. Whether you’re running, cycling, hiking, skiing or snowboarding, this watch will keep you entertained. It also has a built-in heart rate monitor to track your health, especially during high-performance activities. However, be careful when handling this watch as some parts tend to break easily. 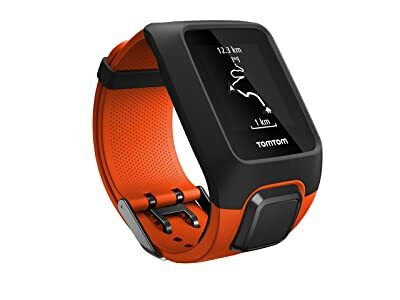 The TomTom Adventurer is an excellent pedometer watch to track your steps and activities. 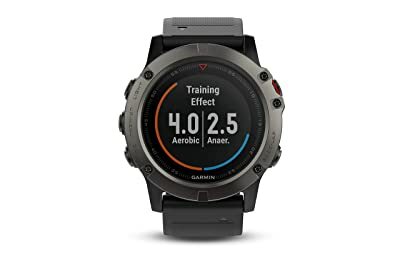 If you like recording your workouts, this watch is the most ideal for you. The Timex Expedition watch if for outdoor lovers who like a rugged feel. 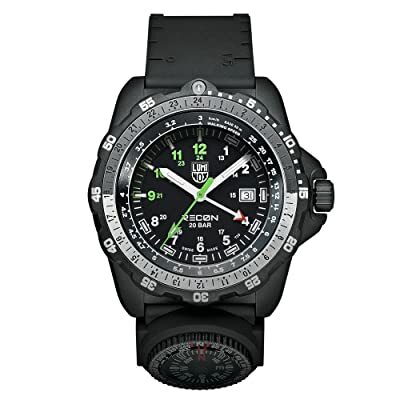 This watch is designed with an excellent digital compass which is a must-have for explorers like you. It easily picks up directions without any hitch. Although you have to calibrate the compass, it isn’t that complicated at all. The Expedition has nice features that add up to make this watch a great buy. It even reminds you to hydrate every now and then so that you won’t forget. Looking for a handsomely rugged watch that won’t break your bank? The Timex Expedition is a great field watch that costs under $200. It has nice features with an attractive price point. It is also one of the best field watches available. At the same time, it’s one of the best casual watches out there. The Casio Smart Watch Pro Trek is another efficient outdoor smartwatch. It is ideal for android users as it is built with Android Wear 2.0m to help maximize its features. This smartwatch has cool built-in sensors to measure directions, altitudes, and atmospheric pressure. When you’re out in the wild, these features are essential to any adventurer. It also supports different kinds of activities so you can take it anywhere you go. The display also features a full-color map with your location and positioning. In terms of clarity and brightness, we prefer the Pro Trek over the Fenix 5X. 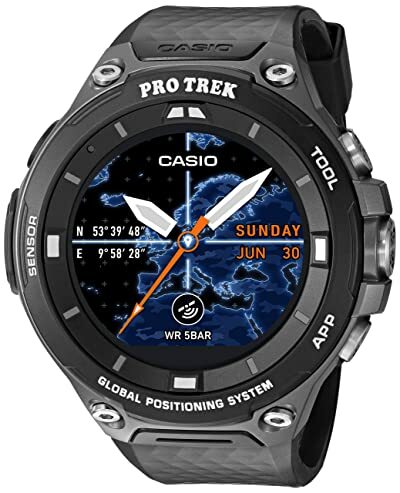 The Casio ProTrek has attractive features that are very useful and functional. Android users will definitely want this smartwatch as it’s the best device for them. It’s fun to use especially with your fellow outdoor enthusiasts. The ProTrek is easily one of the cool watches for men. The Garmin Fenix 3 is an excellent and versatile activity tracker. It gives you all the information you’ll ever need to help improve your workouts and activities. This smartwatch tracks the distance you’ve traveled, calories burned and even your recovery period. It also has a built-in heart rate monitor. This way, you can track your heart rate without the use of a chest strap making it more convenient and practical too. Hence, we recommend this for sports and outdoor enthusiasts who want to get the most out of their watch. The Fenix 3 HR is also excellent for runners as it can measure their strides, cadence, time, and balance. These features will help you improve your performance. When it comes to sports and outdoors, the Garmin Fenix HR is the most ideal smartwatch for you. It has the essential tools you’ll need to maximize and improve your performance. Looking for the ultimate multisports watch that would best fit your lifestyle? The Suunto Spartan Ultra HR certainly fits the bill. It has all the awesome functions of a high-end activity tracker. You can monitor, quantify, and improve your performances. At the same time, you can use it across a variety of activities. No need to worry if you’re not too techie. This smartwatch is user-friendly so you can easily navigate its functions in no time. What we like about the Spartan Ultra is that it can map out your routes. It helps you plan your paths for a more enjoyable run or hike. You can easily download the Movescount app to store all your data. If you’re looking for a versatile watch, the Suunto Spartan Ultra HR is an excellent choice. At the same time, it is a great overall quality outdoor watch. The Spartan Ultra is very functional and works across all kinds of sports and outdoor activities. So, you won’t have to buy separate watches for every sport you have. 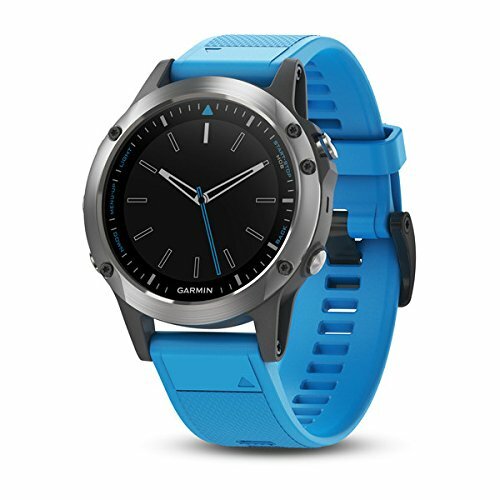 The Quatix is Garmin’s next-generation marine smartwatch. If you’re looking for a watch that will suit your needs for sailing, the Quatix 5 is the most ideal for you. It can be connected with Garmin chart plotters as well as other devices. The Quatix also comes with a sailing assistant, advanced fitness features and a wrist-based heart monitor. It also has activity profiles for other sports like kayaking, canoeing, and paddle boarding among many others. In addition, it also had navigation and tracking functions. Hence, making it an excellent marine smartwatch. Are you into watersports activities? 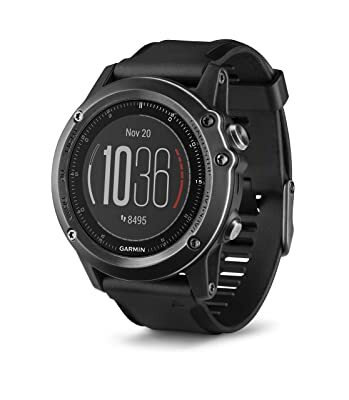 The Garmin Quatix 5 is hands down the best smartwatch for marine watersports. It has all the bells and whistles that you need. It combines form and functionality in one advanced smartwatch. Based on all the amazing outdoor watches in this list, we absolutely like the Garmin Fenix 5X Sapphire. This smartwatch easily sweeps the rest in this list because of its exceptional features. It has all the functionalities outdoor adventurers are looking for in a watch and more. The Garmin Fenix work excellent in mapping your routes and locations. At the same time, it efficiently tracks and records your activities. Whether you’re running, hiking, swimming or doing other outdoor sports, this multisport watch can do the job. Hence, it is a great investment piece that will definitely take you to great places. What to Look for in an Outdoor Watch? When you’re looking for an outdoor watch, make sure it comes with special features to suit your lifestyle. 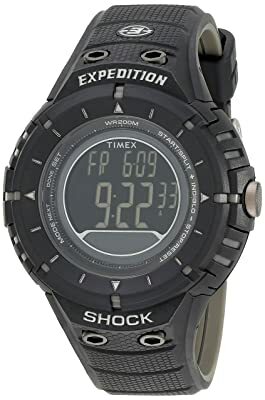 It’s also possible to get the best hiking watch under 100. The GPS and GLONASS are for mapping your routes, determining your location, and navigating your path. The rest of the features mentioned above each have their specific functions. Nevertheless, they track, store, and provide data that is crucial to your performance. These features give you information that will significantly help improve your workouts and activities. A solar-powered battery will help extend your battery life especially when you’re out in the trails. Meanwhile, some prefer an analog watch with alarm as well as a men watch with compass. In terms of likes, some like digital and analog watches for men. Generally, your watch should be able to get through various types of environmental conditions. It should be able to survive bumps and scratches. Most outdoor watches are made of two specific materials: titanium and stainless steel. These materials are durable and reliable. Majority of watch owners choose based on their preference. However, a good outdoor watch should last your years. It should remain fully functional for a long time and withstand impacts resulting from intense outdoor use. The crystal should continue to remain scratch-free. Sapphire is the hardest and most scratch-resistant mineral in the world. Digital watches with compass are very popular among buyers. When you’re buying an outdoor watch, it’s always better to pick a watch that is easy to use. This factor can affect the way you use your device. Choose a watch that has easy access to features including the compass, barometer, altitude, and calendar among many others. Another feature to watch out for is the length of water resistance. It can be very useful especially if you’re into water activities. Choose a watch that can withstand at least 10 ATM. A waterproof watch will definitely go a long way. Brush up on the best waterproof watches available in the market. When you’re outdoors, it can take up all day and night. Therefore, it is important to be able to read time even during the nighttime. The hands or digits should be luminous. This way, you won’t have to bother pushing the backlight button especially when you’re in a hurry. This is especially useful when you’re using your hands to hold sports equipment. This is a crucial factor when you’re in the middle of nowhere. Running out of battery especially when you’re lost is a scary thought. To prevent this problem from arising, make sure you choose a watch that has a long battery life. If you’re using a smartwatch, the minimum battery life should be at least 48 hours. However, there are particular watches that can go as long as 4 days or even longer. Be sure to carry a portable charger to extend your smartwatch’s battery life. Since you can easily get lost when you’re in the woods, you need a GPS function in your watch. A GPS will keep track of your location at all times. If you’re often going into the forest, features such as an Assisted GPS function and GLONASS are highly recommended. These two added features will improve the performance of your GPS as well as it’s connection. Having a GPS function will allow you to plan your routes ahead. In addition to a GPS, a compass is also a must-have feature in an outdoor watch. Sometimes, it’s hard to avoid areas that don’t have a reception. In this case, a compass will be very useful to assist you when you’re navigating your way through the wilderness.